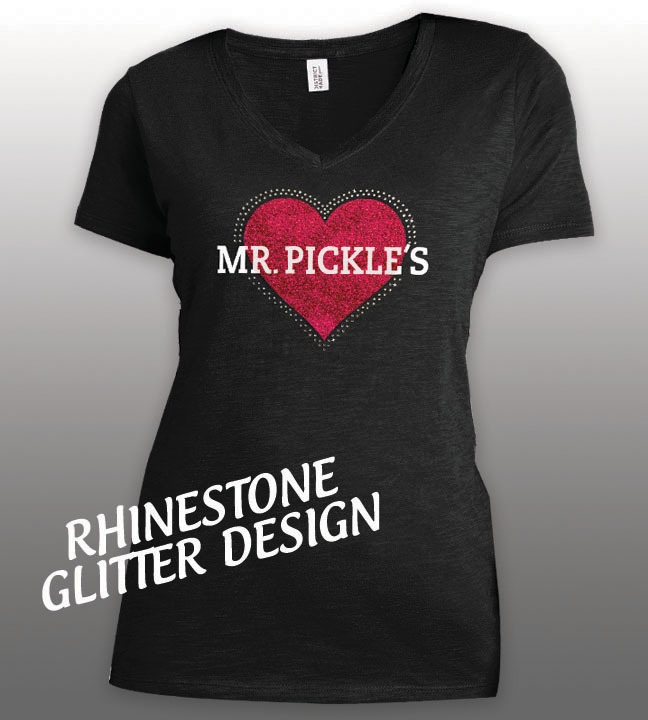 I Heart Mr. Pickle's in sparkling rhinestones. 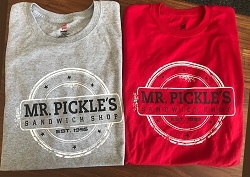 Super soft ladies V-neck tshirt. 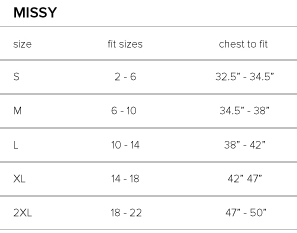 Please check size chart above for sizing. Show your Mr. Pickle's pride in glitter and rhinestones! The ultimate bling! 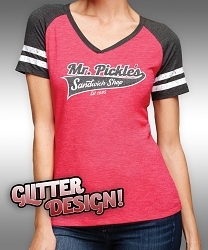 Soft vneck shirt with red and white glitter outlined in rhinestones.